If you want me to be perfectly honest, I don’t know if we’ll ever be able to craft the perfect blog post, but hopefully, these 16 tools that I’m going to list will help you on your journey. Now, you don’t need to use every single one of these to craft your blog post but I would advise you to use just some of them to make your blog post the best it can be. So many small business owners have asked me how I produce my blog posts? Where do I get the ideas from to write about a specific topic? How do I choose a catchy title? Which are the best keywords to use? There’s no right or wrong answer for any of these questions since each niche and each topic and its business will tackle these in a different way. What I can show you though, is the exact same tools we use when we first start working with new clients. 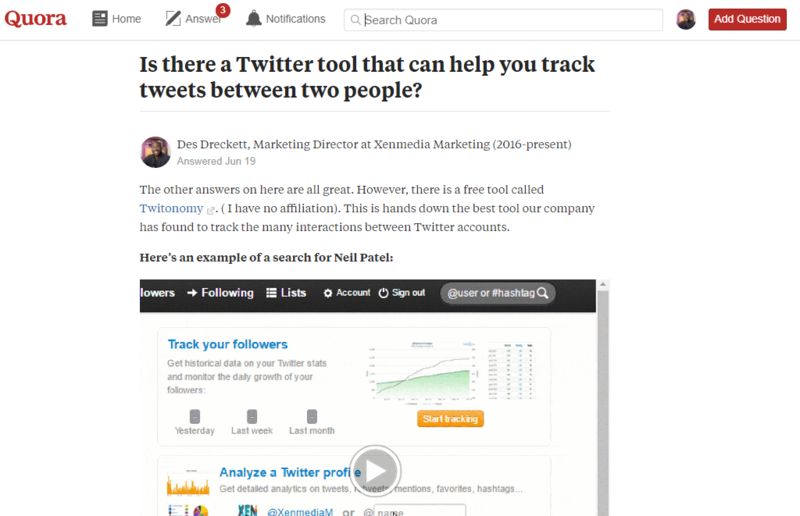 If you’re struggling to find a topic to write about regarding your niche, one of the best websites you can visit today is a website called Quora. In essence, Quora is a question and answer website where somebody asks a question and the experts around the world answer it. The beauty with this is, there’s absolutely no limit to the number of responses you receive for your question. It’s then really up to you to choose which answer you wish to take notice of. The best way to use this as a topic finder is to enter your favourite keyword and see what questions have been asked about this topic. This should give you a starting point and help you find something to talk about. You can also use Yahoo Answers to find topics to write about. This used to be the go-to website back in the day but has found itself less and less popular as Quora builds momentum and has become the number one question and answer website. If anything, there’s no reason why you can’t use both of them in tandem. This is a tool used extensively in the marketing world but very rarely used in any other field. 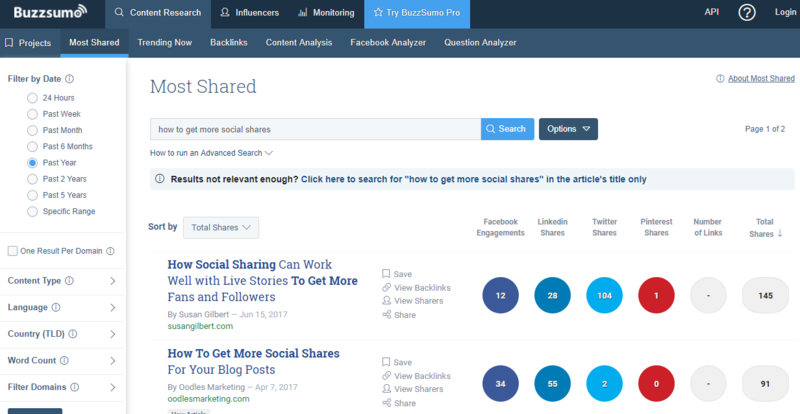 Buzzsumo is a great tool to give you ideas for blog content. Simply type in your topic and see which content has the most social shares and engagement numbers. The free service allows you to do a few searches before they ask you to become a premium member. However, if you’re not writing lots of content each week I suggest you use this sparingly so you don’t there’s no need to sign up for the Premium service. The results returned will be small, but will certainly give you an idea what type of topics and titles are doing really well for your niche. If you don’t use Twitter I suggest you start using it. Virtually every topic in the world you can think of is being spoken about on Twitter and this is one of the best places to get your ideas from. I don’t do this as much as I used to but you can use a tool called Tweetchats. Go ahead and type your favourite keyword with the hashtag in the search bar and it’ll bring up a list of all the tweet chats going on at the moment regarding this specific keyboard/ hashtag. 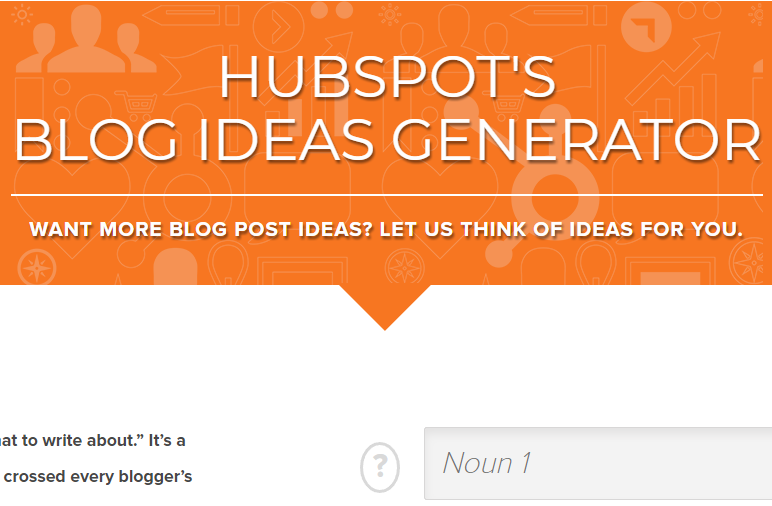 Hubspot blog topic generator is a cool little tool that allows you to search for interesting topics to write about. You basically type in three nouns into the keyword tool and then it goes away and finds some possible topics to write about. This is a great tool if you’re really stuck on trying to find something to write and can also be used as a great backup tool to get you started. If you’re stuck on trying to write a really great title for a stunning piece of content you’ve just written, I can highly recommend using a tool called Titlemaker. This great tool allows you to type in your favourite topic and then the idea generator comes up with a few interesting title ideas. To the right of the search bar, there is also a refresh button. Each time you press this button it will magically produce a new title that you can use. This is a brilliant tool and one I highly recommend. Note: Take a note of the how it structures a title. This is really handy when you’re writing future blog posts. Do you want to know a very scary statistic? Only 60% of the people that have clicked on your article end up reading past the headline. That’s why it’s so important to make sure your headline is as good as possible. The idea is to capture your reader’s attention and then compel them to continue reading. So, you’re probably wondering what a really good headline looks like? If that’s the case, why not try a free tool called Headline Analyser? – Simply copy and paste your headline or title into the search bar and then get some really interesting feedback. In essence, it scores your headline quality and it rates its ability to drive traffic, social shares and how SEO-friendly it is. It even gives you an example of how it will appear in the search results. If you’re ever looking for a graph or chart to enhance your blog post you can use a tool by Atlas that provides you with a graphic based data for you. It’s also a good place to find fresh data to use in a project you’re working on. One of the best tools for small businesses that have been created in the last few years is by Evernote. Evernote basically allows you to clip lines of text, add additional notes to them and then save them for review later. Since they have a mobile app which is one of the best for this type of thing at the moment, you can easily do this whilst on the move in an Uber or if you are travelling on the train etc. Save these notes or snippets for later and then use them for your blog post. How many times have you been travelling, come up with a really great idea or see something online that really sparks your interest but have no way of remembering this or a piece of paper to write it down? If this sounds like you, then Evernote is the tool for you! 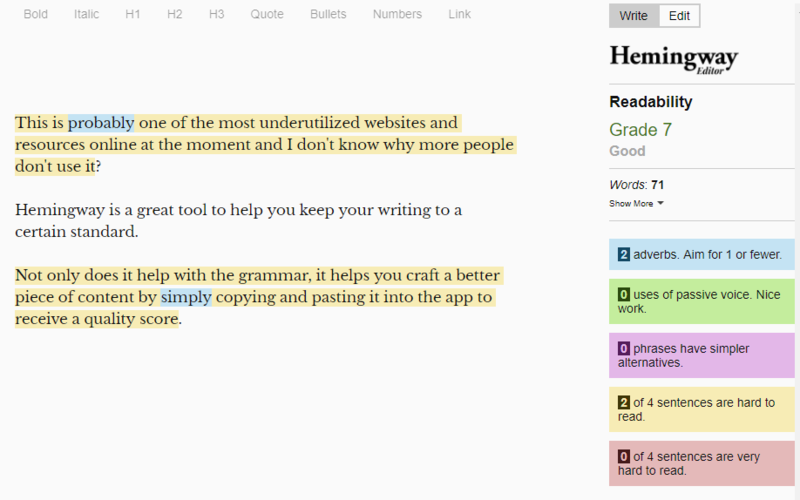 If you’re not great at spelling or grammar (like me) then there’s a free/premium tool called Grammarly that will help you craft a better piece of content. They offer you a free option as well as another couple of useful tools like their Chrome extension or Microsoft Word extension that integrates within the apps and helps you with your spell checks and grammar. I won’t lie to you, it doesn’t always get things right and the free version can be quite limited. If you find yourself writing lots of content each week or each month then I highly recommend opting for the premium option. If you don’t write a lot then the free service is absolutely fine for what you need it for. This is probably one of the most underutilised websites and resources online at the moment and I don’t know why more people don’t use it? Hemingway is a great tool to help you keep your writing to a certain standard. Not only does it help with the grammar, it helps you craft a better piece of content by simply copying and pasting it into the app to receive a quality score. 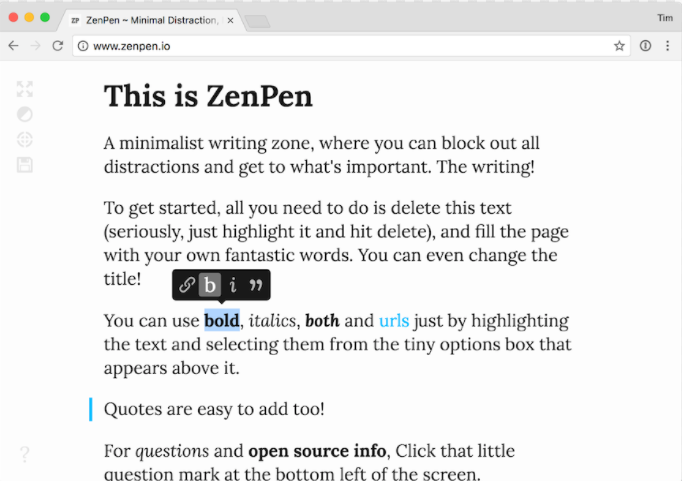 There are thousands of writing tools out there that can help you with your content, but very few are better than Zenpen. You have the option of either downloading the app or using the web-based alternative. The great thing about the tool is the fact that the design is really simple, sleek with minimal clutter. If you want to start using the editor, simply go to the website delete the text that you find on the website and paste in your content you can set a word count target and then the save the whole thing in either HTML or plain text when you’re finished. The format reminds me of the Medium website with regards to how you input text and edit it. But, if you’re looking for distraction-free and an easy to use text editor that allows you to bold, italic and underline very quickly, then this is definitely the tool for you. This will probably be a little more advanced for some readers. Others might find this an ideal tool to use for your blog posts. There are many of us that use the likes of Microsoft Word and Evernote to craft out content in, but when you copy a document from one of these platforms you can sometimes have some formatting issues that are nothing short of annoying. Word to clean HTML is a free converter tool for documents produced by Microsoft Word and similar office software. 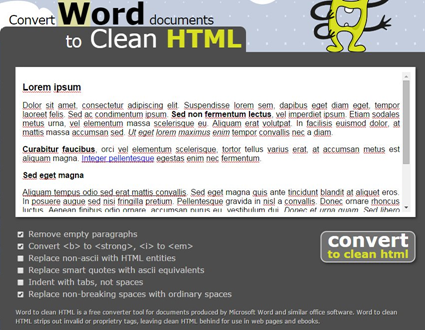 Word to clean HTML strips out invalid or proprietary tags, leaving clean HTML behind for use in web pages and ebooks. Alternatively, if you are using WordPress for your website, copy and paste your content in the “text” part of the editing platform rather than the “visual” part. This will also strip any code etc from a Word or similar document. There are very few businesses using gifs within their presentations and in their blog posts. This is where you can be different and really stand out. A GIF is basically a moving image or a representation of an image. It’s smaller than a video file but gives you the same benefits of conveying useful information. As a marketer, I use these a lot but I don’t see these use that much in any other industry. If you want to take things that one step further I believe they also have a Chrome extension that allows you to select new and interesting gifs on the fly. This will save you having to search around online as this is probably the biggest database of gifs in the world. Without a doubt, some of the best places to get royalty free images is from either Pixabay or Pexels. Of course, there are thousands of others, but I found after extensive research that these two websites are the best with regards to quality and how often they are updated but brand new images. The only drawback with these tools and websites is the fact that so many other people are using the same images for their blog posts. So, the idea is to take some time out and really have a look at some images that you can use that haven’t been widely used by everyone else. One of the main tools I use to both screenshot and edit my images is a piece of software called Snagit. Unfortunately, this isn’t free software, but for the price, it’s probably the best on the market at the moment. Where possible I encourage you to use Snagit to screenshot any images you want because simply copying and pasting an image from the internet isn’t the best way to capture these images. Whenever you copy and paste an image, what you don’t realise is, there’s quite a bit of code hidden within the background of each image that you save. However by using a tool like Snagit you can screenshot the particular part of the screen (in this case it will be an image). That way, there will be no leftover code or characters hidden behind the image which will serve you better for SEO purposes. The actual file size of the image will be a lot smaller. Previous Post The Benefits of Using a Digital Marketing Agency – Small Business Marketing Tips Friday 24 Next Post As Toys R Us Prepares to Shut 25 Stores What Can Small Businesses Learn? 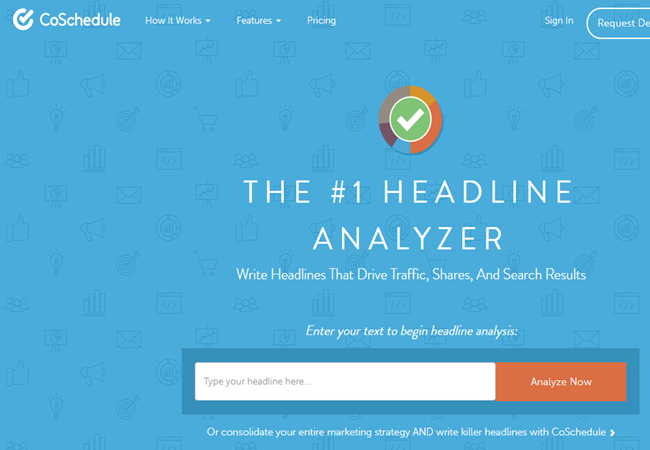 Fill out the form to get your FREE 101 Blog headline ideas. Your Privacy is protected. Content delivered weekly!